For the first 3 years, we at DrydenWire.com have typically only published obituaries from Washburn County. On January 1, 2019, we began including 3 additional counties: Barron; Burnett: and Sawyer. We will also begin to publish Polk County obituaries in the month of Feburary. These five counties represent 75% of our viewers so it only made sense to include the those obituaries. Simply click the menu item "Obituaries". Click the "hamburger" button (three horizontal bars) on the top right side of our header. You can also simply enter the URL of our obituary page in your browser directly: drydenwire.com/obituaries. We typically update all of the obituaries between 7a and 9a. 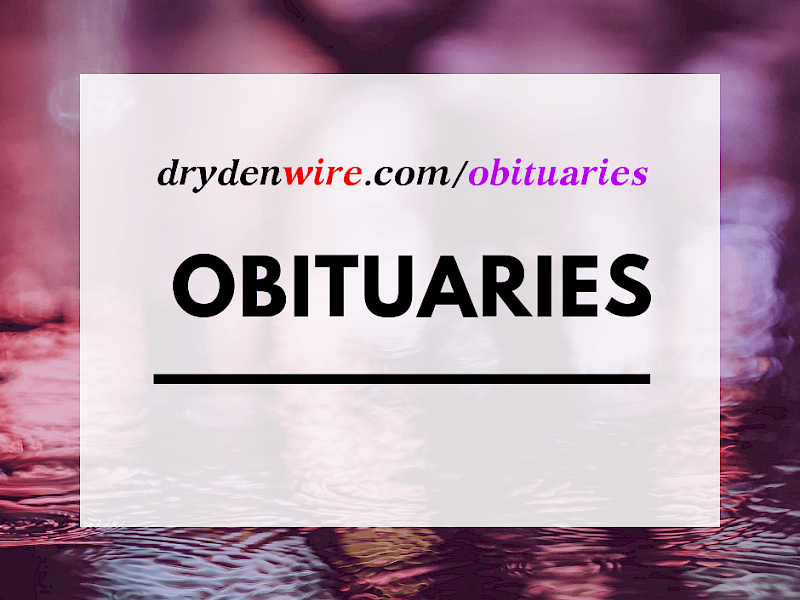 If you have an obituary you would like to submit, you may do so by emailing us at drydenwire@gmail.com.